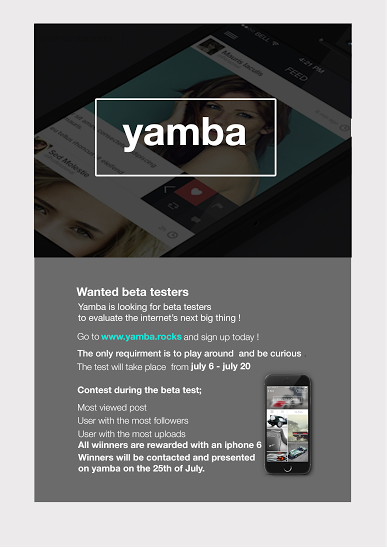 Yamba – the internet’s newest and next big social media network is looking for people to sign up for their beta test. Participants will get a chance to win 1 of 3 iPhone6 devices. To join, just go to www.yamba.rocks and complete the sign up form. The form is open until July 5, 12mn and there will be no extensions. The said contest is exclusive to beta testers who signed up from June 30 – July 5. Anyone signing up after the said date is illegible to win the prizes. Important to note: YOU need to sign up on or before July 5 to qualify for the iPhone6 contest. You may start using the site, but only entries from July 6-17 will be counted. Second winner – one who has the most followers by the end of the test. Third winner – one who uploaded the most number of posts (photos, links, quotes, texts, etc). On July 20, an evaluation form will be sent out to all beta testers to mark the end of the testing period. Announcement of winners will on July 25,2015 through Yamba. All winders are awarded with an iPhone6 each and will be given by the management of Yamba.rocks. Winners have to CLAIM their prizes in Cebu personally. What are you waiting for? Time is running! 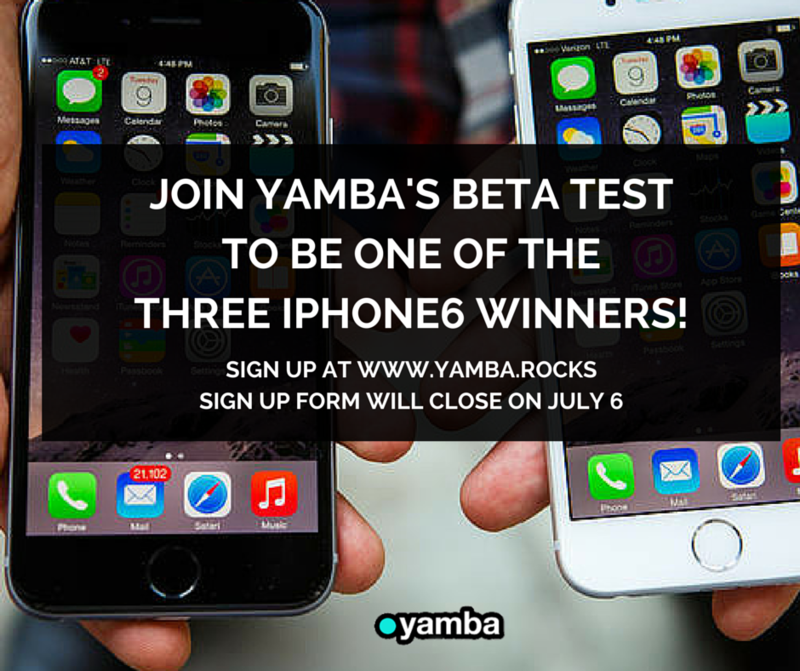 Visit www.yamba.rocks to sign up today. While you’re there, FOLLOW me @RoseAngelie and I’d be glad to follow you back! J Let’s catch up on Yamba on July 6-17! See you! I'm unfortunately super late at this! hahaha. Congrats in advance to the winner.